Are you satisfied with the painting quality of your last service provider? If not, we are here to show you how we are different and can be your best painting partner. It’s not our overconfidence – we have been rated as one of the best commercial painting companies in Sydney for our innovating colour theme, equal focus on beauty and protection and keeping the cost within control. 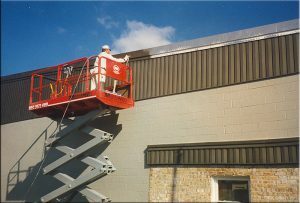 No matter it is a small shop, a corporate office, a giant shopping complex or an elaborated resort painting, we are one of the Sydney’s best commercial painting companies who can provide you satisfactory service. We never leave the place until we are 100% sure about the perfection and thus you never would get a chance to point on our work. So, what are you waiting for? Just give us a call and hire our commercial painting services to give your business a new elegant look.